Do you ever shoot a bunch of exposure-bracketed shots and then never get around to blending them together? Maybe you don’t shoot multiple exposures in the first place because you don’t want to spend hours in front of the computer blending together the individual images. If you are like me, the thought of individually exposure-blending a whole load of images is just not what photography is all about – I know I can produce better images with better tonal range this way but it seems like a lot of work in front of the computer. What if I told you I do most of my exposure blends automatically? 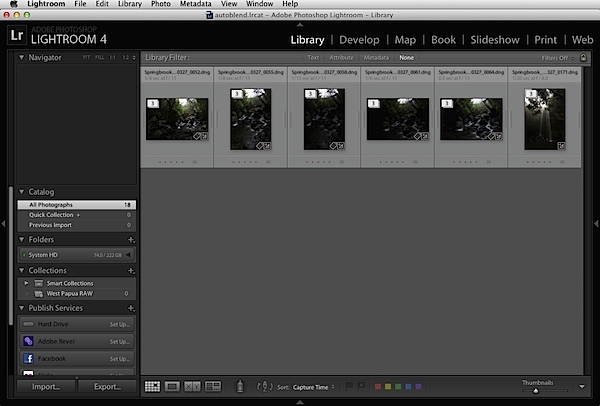 You need Lightroom and a Lightroom plug-in called LR/Enfuse. 1. Shoot your exposure blend image sets as normal – I recommend using the two-second self-timer combined with auto-bracket so that you get all three shots with one press of the shutter button. 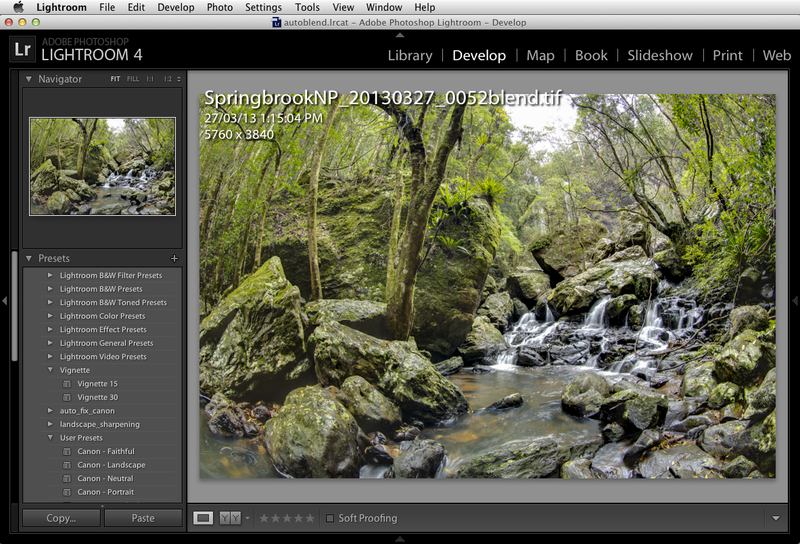 I normally set the auto-bracket to plus and minus 2 stops which seems to cover most high contrast scenes. 2. 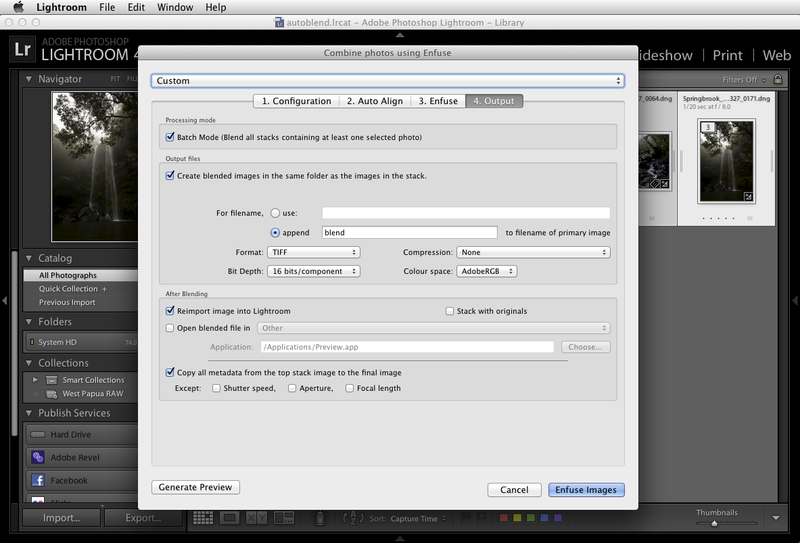 Import the images into Lightroom as per usual. 3. In the Library Module, view the folder of the images you just imported and choose Photo / Stacking / Auto-stack by Capture Time. 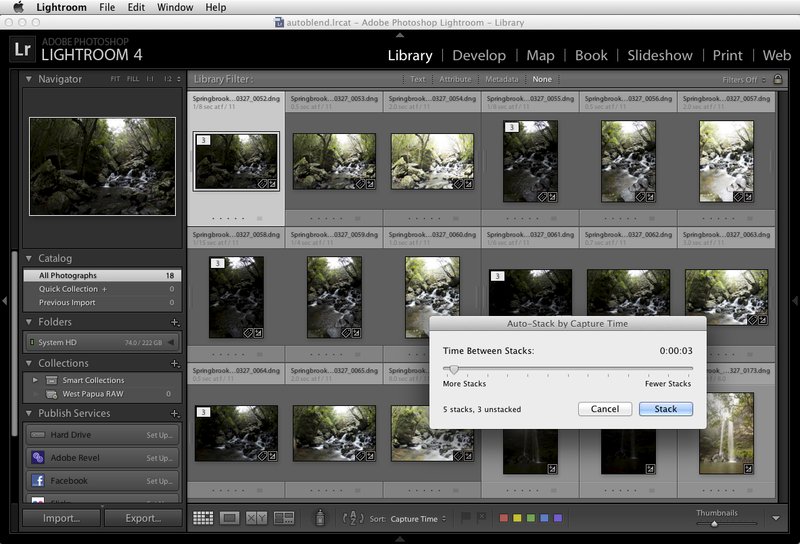 Set this to about three seconds and Lightroom should collect all your sets of bracketed images into stacks because they will normally have been shot less than three seconds apart. Adjust the slider and you’ll see them stack and unstack in ‘real time’. Choose Photo / Collapse All Stacks and you should now see single stacks each containing the images which make up each exposure blend sequence. 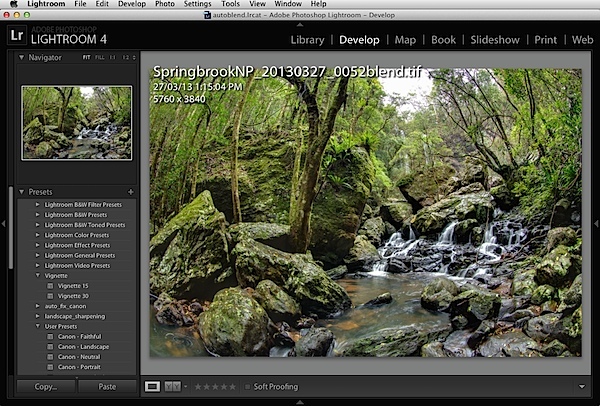 Auto-stacking is not foolproof, but you will soon get the hang of it – the trick is to make sure the folder only contains bracketed images that need stacking. If you mix them up with single captures it’s possible that you’ll get a few odd stacks. 4. 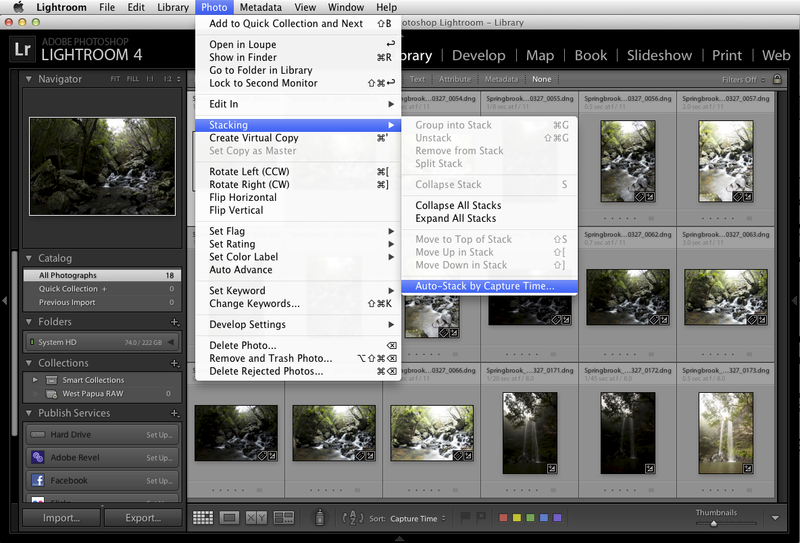 Now select all the stacks that are made up of your three exposure brackets (command or control-click to multi-select). 5. 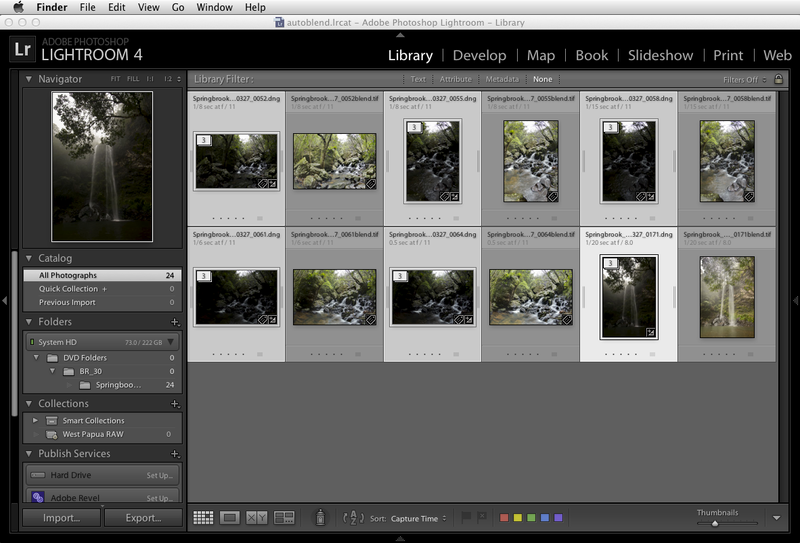 Choose File / Plug-in Extras / Blend Exposures using LR Enfuse. 6. 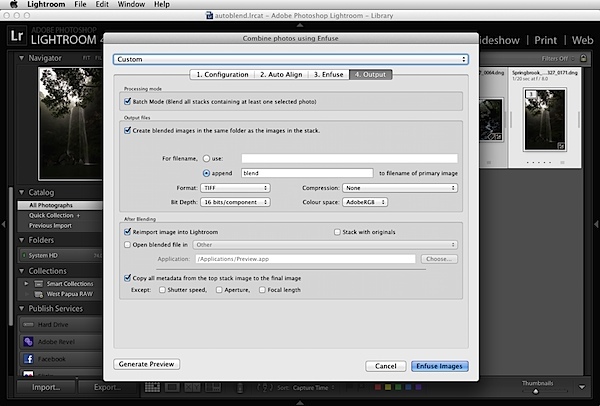 Use the default settings under the Enfuse tab but on the Ouput Tab check the box at the top called “Batch Mode”, check the box labelled “Create blended image in the same folder as the primary image in the set” and check the box labelled “Reimport image into Lightroom”. 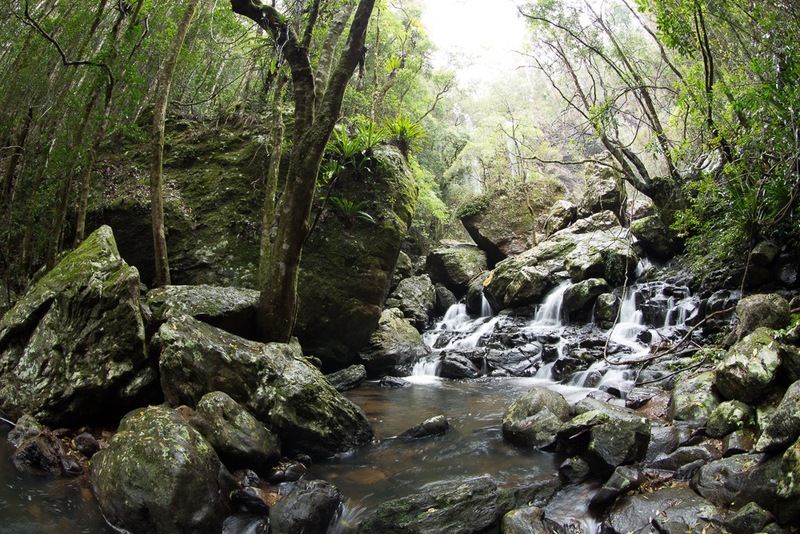 You can ignore ‘Auto-align’ if you used a tripod, otherwise, if you shot hand held, turn this one. 7. Hit the “Enfuse Images” button. 8. Go get a cuppa whilst LR/Enfuse works its way through each individual stack of images, converts them according to any raw settings in the Lightroom Develop Module, exposure blends them, saves the result into the same folder as the originals, and imports them back into the Lightroom catalogue. All on full automatic. What you’ll see is one new file pop up next to each stack in the folder. These will be your exposure blended images. Pretty cool huh? Here’s the before (top) and after (bottom) of the image we processed (click to enlarge to full size). This is only a quick run through the method, it’s not completely foolproof and occasionally you’ll have to go back and manually blend a difficult image using Photomatix or something similar, but, on the whole, LR Enfuse does a superb job. One refinement would be not to do much adjustment in LR before blending, set LR/Enfuse to create 16bit TIFFs and then use LR’s extensive tone mapping tools to adjust the new output file to suit your tastes. 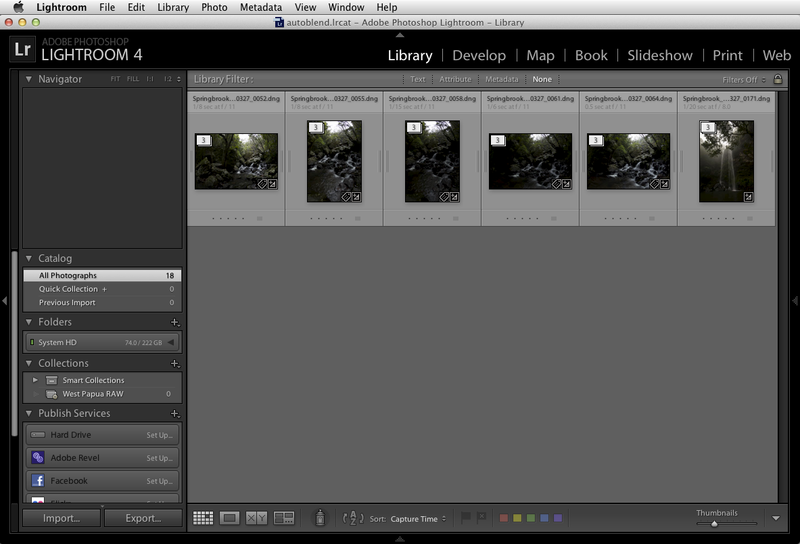 I intend to go through this process in greater detail in a Lightroom eBook I am currently working on. In the meantime, automating your workflow like this can save you a huge amount of time. Setting it up in the first place might take a bit of thought and effort but, believe me, it’s well worth it. 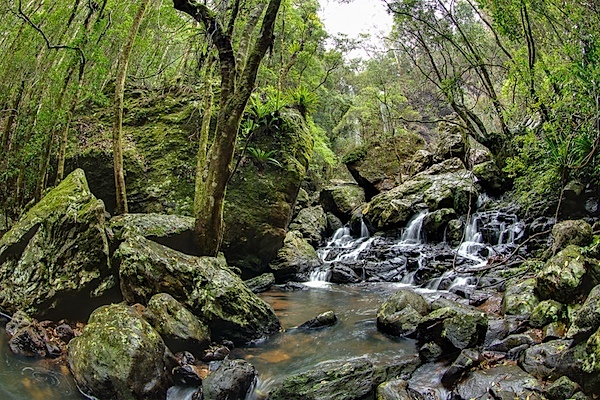 Nick Rains has been a professional photographer for almost thirty years, doing mostly editorial work for clients such as Australian Geographic and has made a point of keeping up to date with technology. His latest forays into the world of current technology have been shooting more and more video and creating an iPad app called Photique where he publishes articles and interactive eGuides as well as free image portfolios.